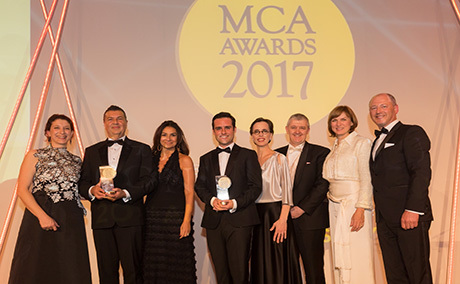 A management consulting firm that has successfully boosted foreign investment into the UK from Latin America won the prestigious Project of the Year Award at this year’s MCA Awards for the consulting industry. Held at a packed Park Plaza Hotel in Westminster, the Awards evening brought together hundreds of consulting firms and their clients to recognise outstanding projects and individual management consultants. Integration Management Consulting has worked with the Department for International Trade to win new sources of investment for the UK from within countries such as Colombia, Chile and Argentina. ‘As Britain faces up to the consequences of Brexit, this project is a great example of the difference that our industry is making to secure future jobs and prosperity for all. Three new Awards for Consulting Excellence were given this year to Arup (for Ethical Behaviour), PPL (for Client Service and Value) and Arcadis (for Professional Development). 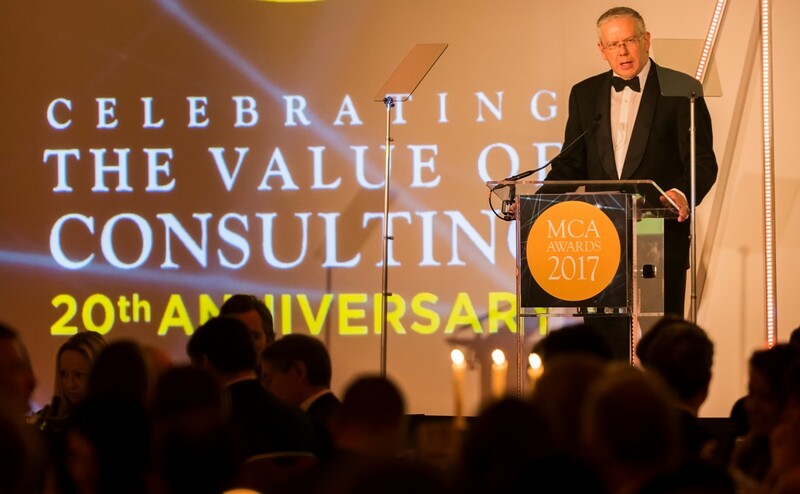 These Awards recognise outstanding performance and innovation in areas that support the nine principles of the MCA’s Consulting Excellence scheme, the hallmark of quality in consulting. Other high profile winners on the night were Deloitte who picked up the Awards for Best Use of Thought Leadership, Social and Environmental Value and the individual Times Consultant of the Year, Sonia Storr. Arup also were big winners, triumphing in the categories for Finance and Risk Management, People, and Performance Improvement in the Public Sector. Overall it was a night that demonstrated the breadth of talent within the UK consulting industry. The winning firms included Egremont Group (who also won the Award for Best New Consultancy), Pearson Ham Consulting, EY, Capita Transformation, PwC and Curzon & Company. And the winning clients included the major US retailer Walgreens, Welsh Water, London Overground, Welcome Break Group, Southampton City Council and the Climate and Development Knowledge Network that did so much to secure the Paris Agreement on Climate Change. Besides her win as Consultant of the Year, Sonia Storr of Deloitte was also the winner in the Change Management Consultant of the Year category. Other individual winners were David Woodhead of DXC Technology (Digital and Technology Consultant of the Year), Olu Eriolu of Arcadis (Performance Improvement Consultant of the Year) and Jamie Ounan of Inner Circle Consulting who won Strategy Consultant of the Year. The Young Consultant of the Year Award went to Tim Price of PwC. The MCA Awards are judged by an independent expert panel of judges with experience of working in the private and public sectors, universities, consultancy and journalism. The full list of winners can be found below. Details on each winning and highly commended project and further information on the MCA Awards are available at www.mca.org.uk/awards.